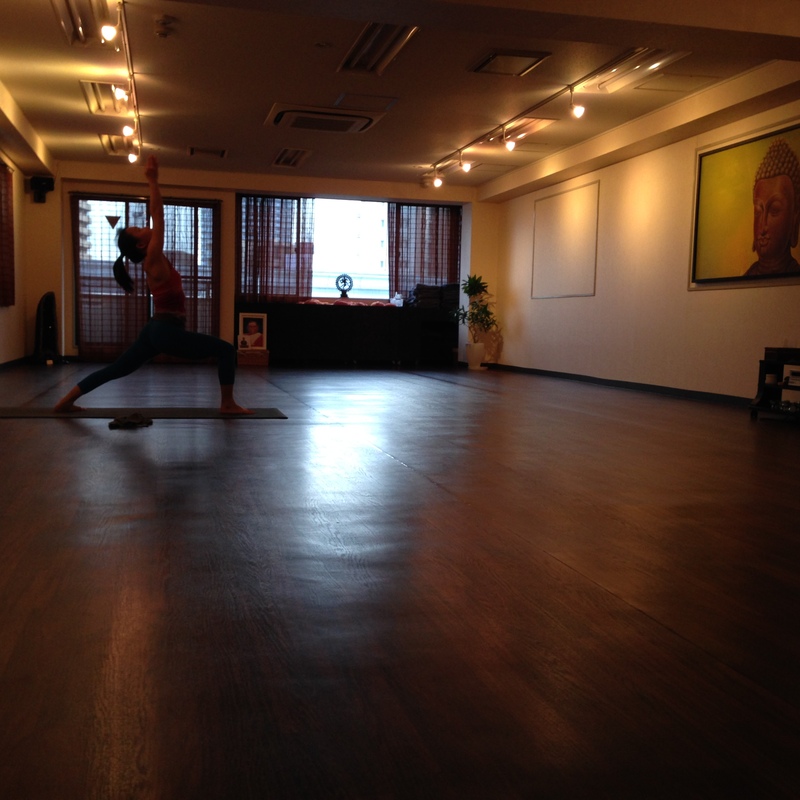 This is the Spirit Yoga mysore space last Sunday evening. I had just finished my last offering at the studio. How empty it looks. And YET how full it feels–to me, at least, after two months and one week of teaching. It dawns on me that life is made up of empty rooms and that our job is to fill these spaces with our light, with our energy. Next time you enter an empty space, ask yourself: how can I fill this space? What subtle gift can I fill/feel this space with? What special part of me can I leave here to grow and prosper? Or before you leave such a space, ask: what have I left here? What will grow on without me? 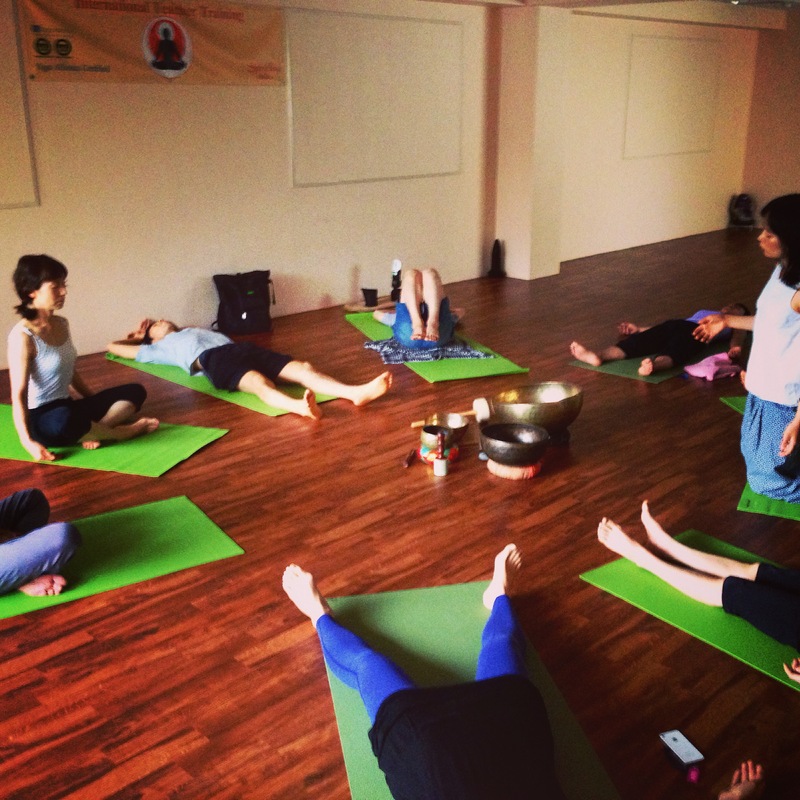 This week, Spirit Yoga Mysore is on self practice mode. Students are helping each other. Cheering each other on. Practicing as usual, with their whole hearts, bodies and minds. With or without a teacher. By next Sunday, authorized Level II teacher Veronique Tan will lead the program on. Just one week after my departure. Before I arrived in Osaka two months ago, I asked my friend Ursula Scott, who was the first mysore teacher in Spirit Yoga, for her advice. She told me this: share everything you know! And so it ended last Sunday, later that planned, as I poured as much as I could of myself, of what I knew into a preparation workshop class for Self Practice, knowing that for a week, students would be directing their own energy, exploring the joys and difficulties of self practice without a teacher. It was an odd end. I felt empty. But now, after a few days rest, I feel so full from that last class, and from the two months of sharing with such amazing, attentive, and loving students. I’m excited for them, for the opportunity to learn with Veronique. But also for the chance for them to explore the depths of practice on their own–this is where so many jewels and treasures lie, in the solitary depths of self practice. Do we not sleep after a day of activity? Resting after practice is vital to finding balance for the rest of the day. Always give yourself a good rest after yogasana practice. Students here in Osaka take a well-deserved rest, allowing for the body to fully integrate after Friday morning led class.